The MarketBlazer Inbound Marketing Program includes strategic marketing tactics designed to get your business preferred visibility in top search engines, using a variety of online marketing tactics including your website, (SEO) search engine optimization, directory marketing and citations (local, national, review, and niche), content marketing, social media marketing (Facebook, Twitter, and Google+), and reputation management (five star customer reviews). We offer three levels of participation. 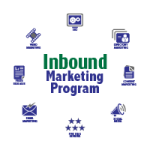 BeFound is our entry level option of the Inbound Marketing Program and is designed for local businesses in a small to medium size city with low competition. To view our mid level and top level offerings, please review the BeDominant and BeSuperior options. 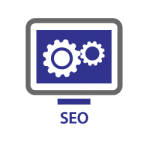 MarketBlazer Search Engine Optimization service includes both on-page and off-page SEO. On-page SEO includes optimizing content (text, images, and video) on your website. Based on your specific targeted keywords, we calibrate the various components of your website for maximum visibility with the top search engines. Off-page SEO includes creating and optimizing the links to your website from various properties on the internet. Our goal is to create high-value links to your website from authority properties related to your niche and location. Read more about the importance of Local SEO. MarketBlazer Directory Marketing service includes listing your business on the top national, local, niche, review, and mobile online directories including Yahoo, Yelp, MerchantCircle, CitySearch, and MapQuest to name a few. We verify your correct name, address, and phone information (N.A.P.) across our entire directory network. This also includes adding rich location information to every customer search including website, email, business description, product and services listing, business categories, photos and videos, special offers, business hours, payment options, staff bios, and event calendars. 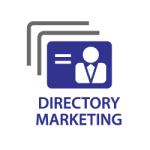 Read more about the importance of Directory Marketing. 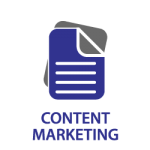 MarketBlazer Content Marketing service includes regularly scheduled blog posts for your WordPress website. Each blog post is a minimum of 500 words of unique high quality content that is guaranteed to pass Copyscape. Where appropriate, each blog post will contain a "for more information” link to an article on an outside authority website. Each blog post includes a supporting picture and a call to action to motivate customers and prospects. Read more about the importance of Content Marketing. 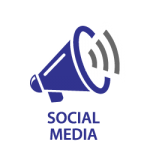 MarketBlazer Social Media service includes custom written social media updates to your Facebook and Twitter accounts on a scheduled basis. After an analysis of your existing digital footprint, industry, location, and competitors we develop a social media plan to grow and engage your social media presence. If needed, we optimize your Facebook and Twitter accounts. For the BeDominant and BeSuperior Inbound Marketing packages, we significantly grow your Twitter followers with our unique Twitter growth program. Read more about the importance of Social Media Marketing. MarketBlazer Reputation Management service includes both reputation monitoring and reputation management to stay on top of customer reviews. 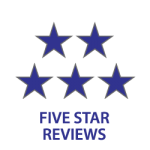 Our monitoring system collects management reviews across dozens of review sites looking for customer reviews about your business, and then provides alerts for any activity. For reputation management, we build a separate review funnel website for your business, making it easy to prompt customers to leave positive reviews. This system automatically prompts unhappy customers to leave their comments privately, giving you time to react prior to public posting. Additionally, we create custom printed marketing material and an email review invitation system to improve the review gathering process. Read more about the importance of Reputation Management.